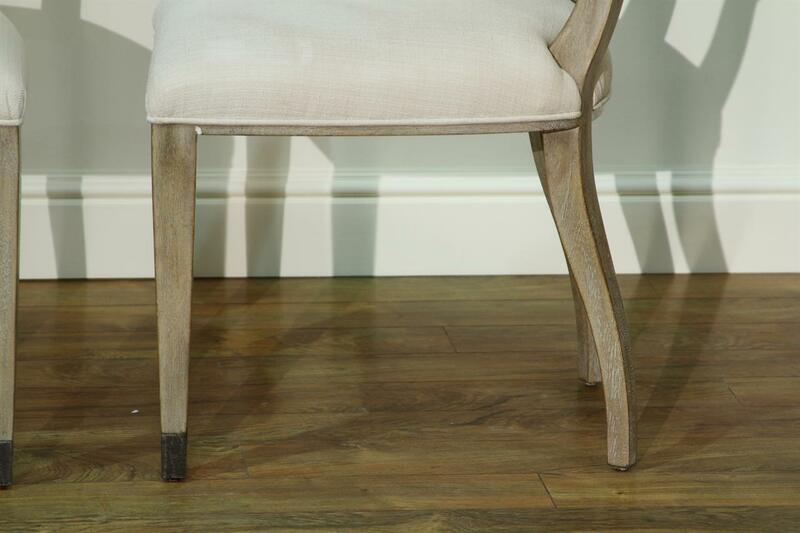 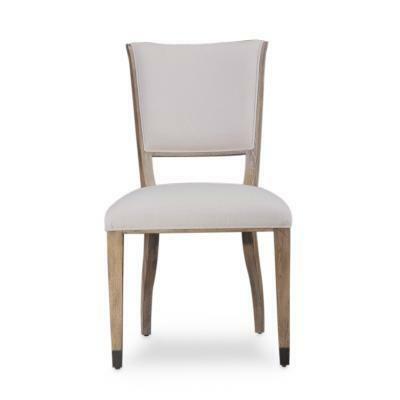 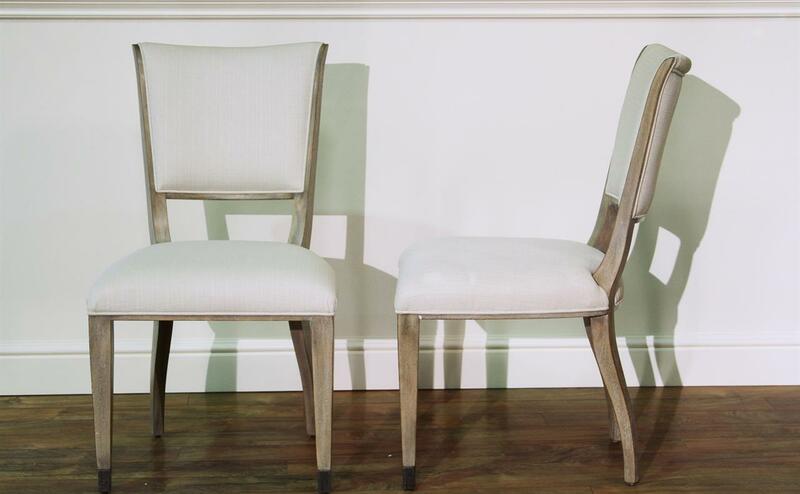 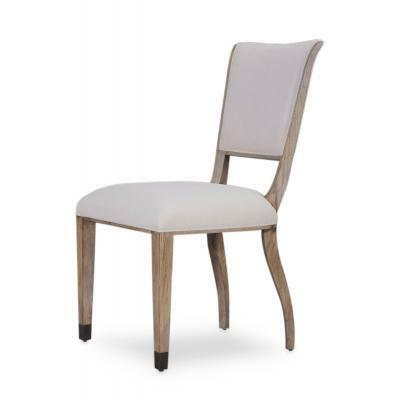 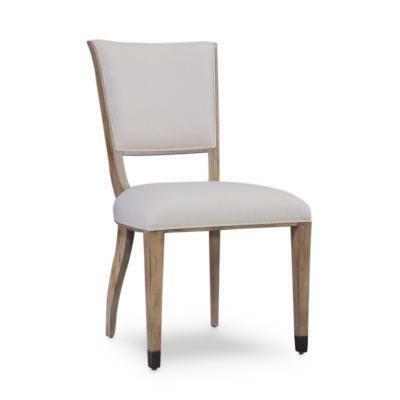 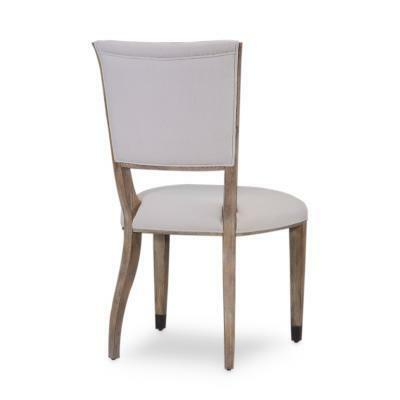 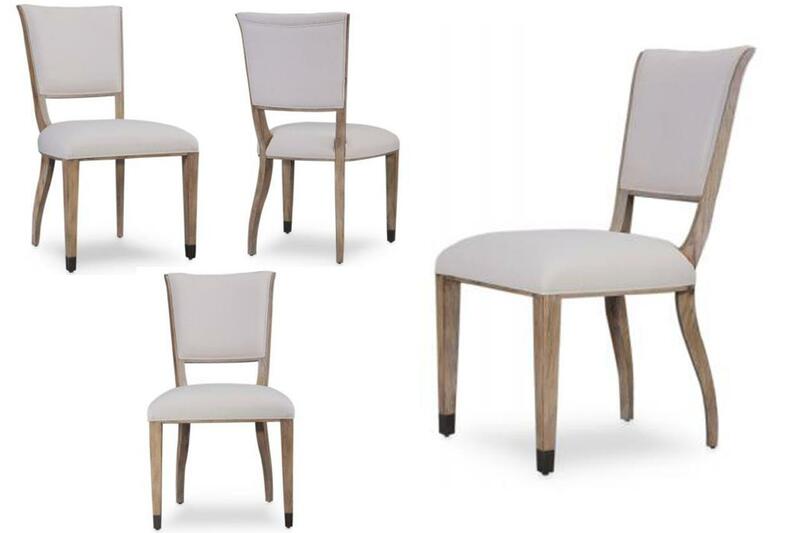 Description: Transitional white upholstered dining chairs finished to match most weathered grey oak furniture. 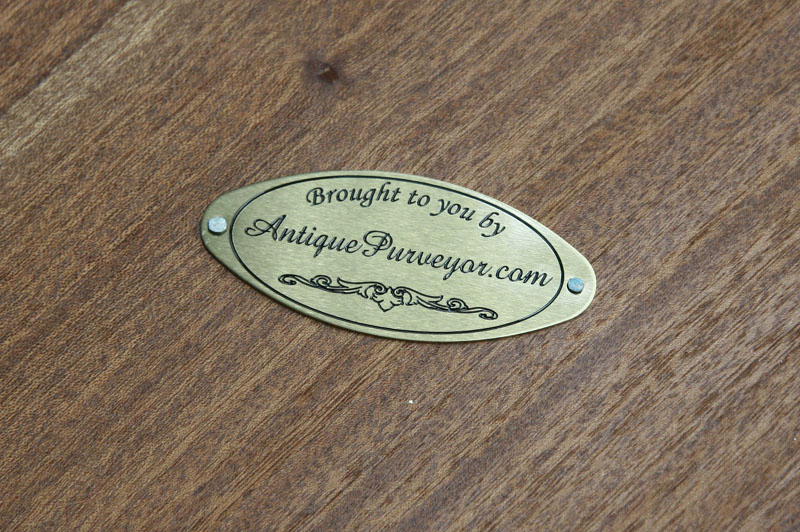 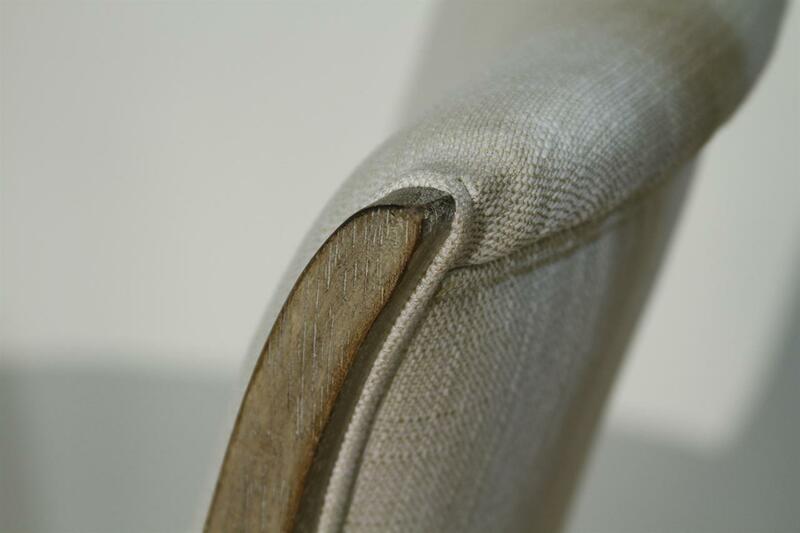 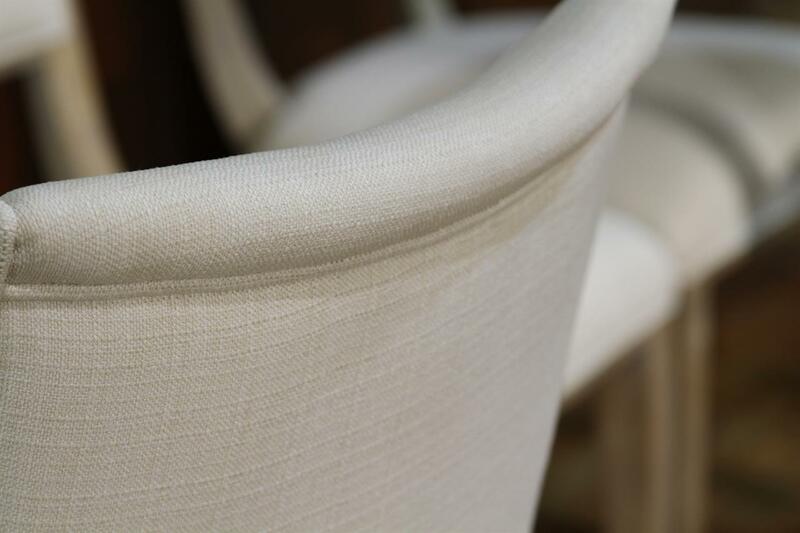 Durable upholstery weight fabric. 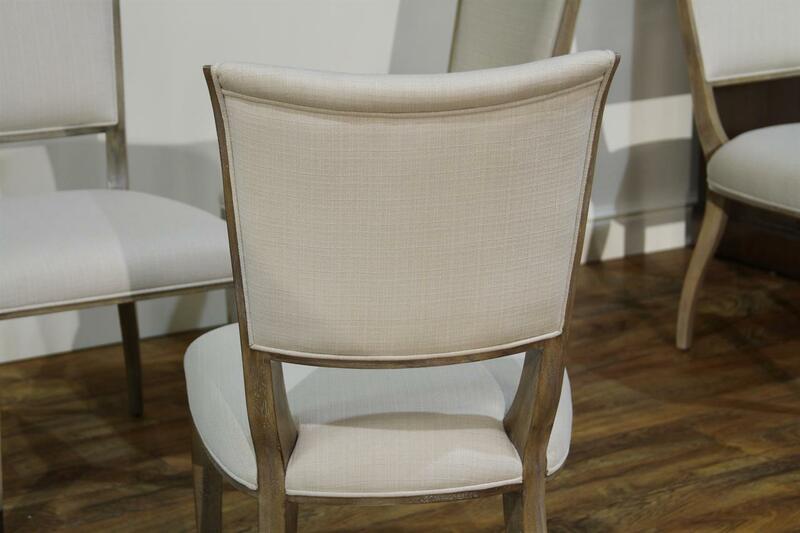 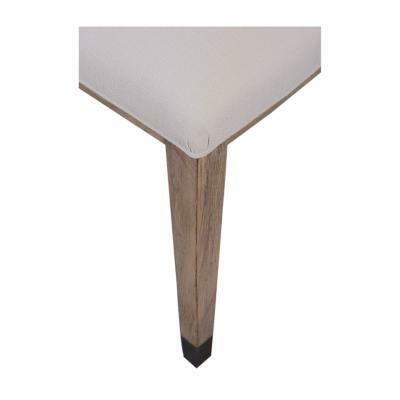 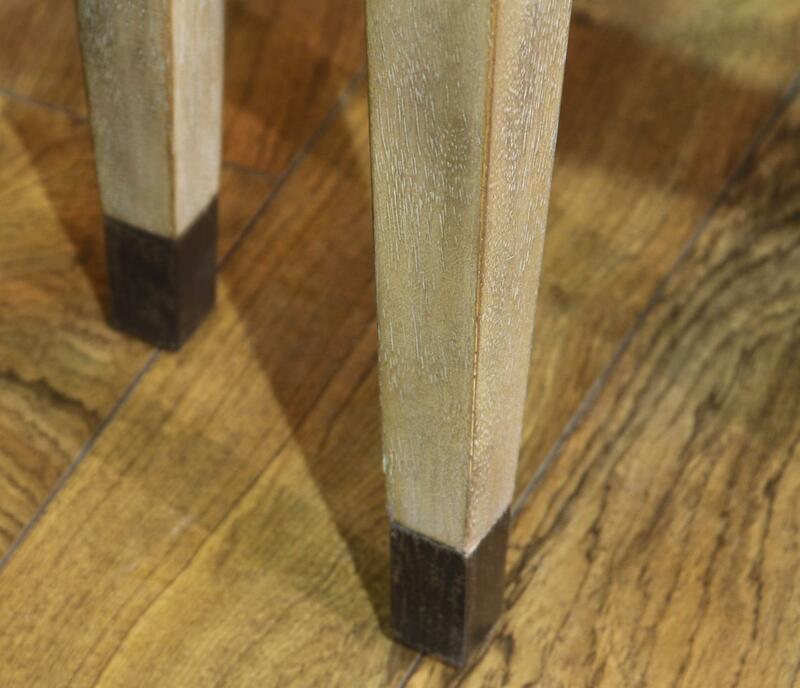 A solid, high end dining chair for a newly designed space.